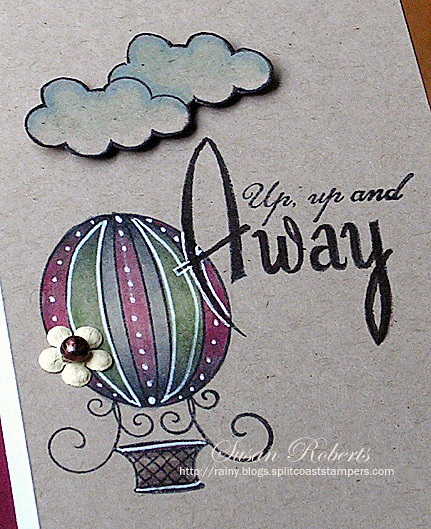 There’s a fun challenge over at Simon Says Stamp Wednesday, and this set of cards is playing along. 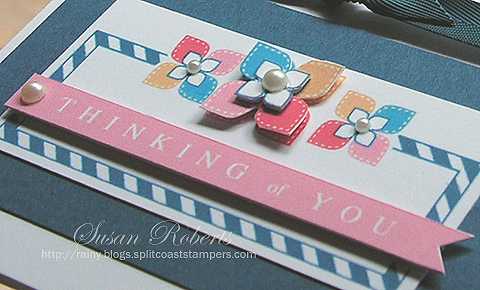 With some simple stamping, designer papers, ribbon and a border punch these came together super fast. 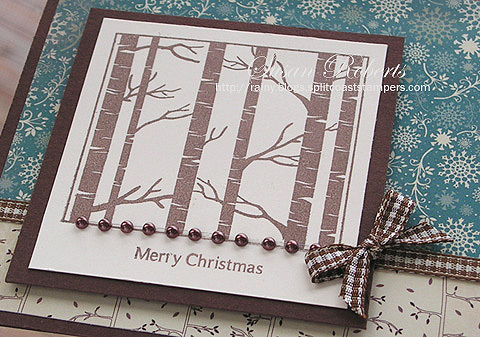 I love this PTI set “Through the Trees,” and today’s posting is three Christmas cards that were made with it. 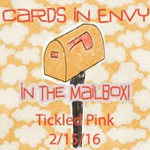 With each card, the sentiment treatment is a little bit different. 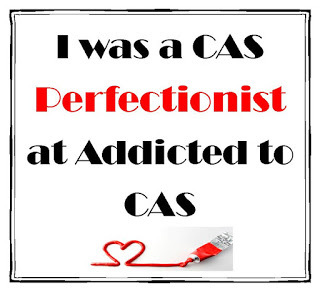 Here the sentiment runs across the popped up image. 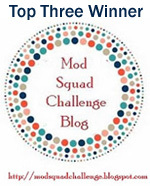 Over on Splitcoaststampers there are some fun challenges going on with their member companies. 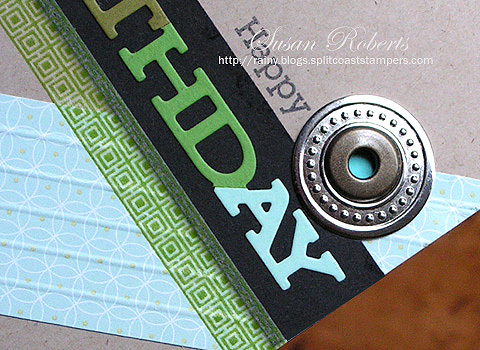 Today Simon Says Stamp is sponsoring a challenge to use dies. So this card will play along in that as well. You can find the challenge HERE. 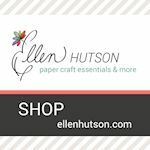 Well I have SO MUCH patterned paper. What a great challenge to use some of it!! 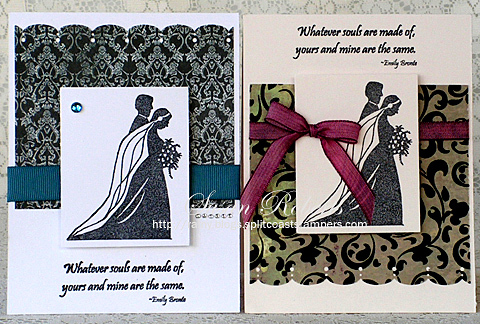 On these cards the sentiment is stamped on the patterned paper or just below the image, respectively. Both images are again popped up for some added depth and dimension. Thanks for dropping by today! Made a couple of long cards today. They fit into a standard #10 business sized envelope. 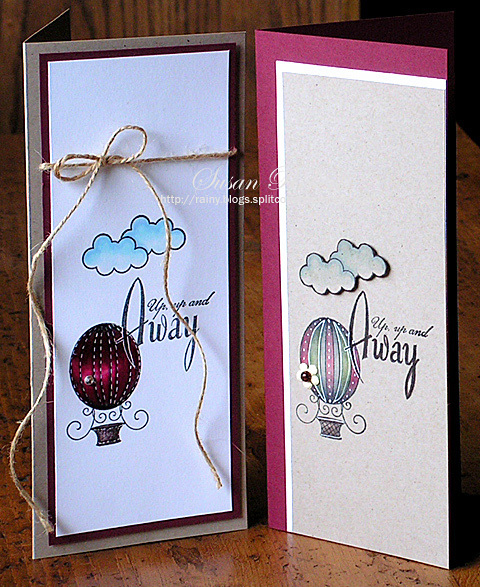 A White Gel Pen was used to accent the balloons. 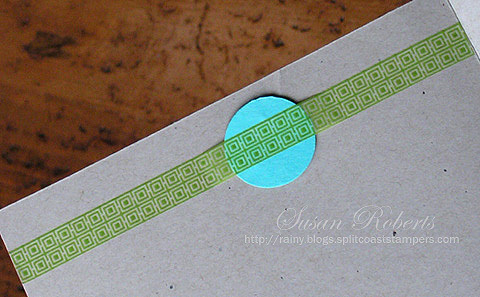 To get a good match, one of my favorite things to do is to color a white (or cream) adhesive pearl with a Copic Marker. Here a Copic was used to match the pearl to the basket colors. 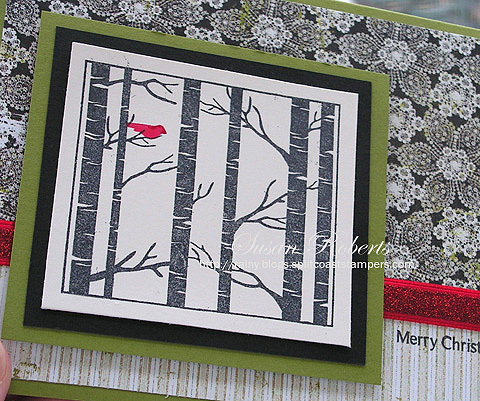 It’s the last day of Papertrey Ink’s 7th Anniversary Celebration, and I was able to play along on their Day 7 Challenge. 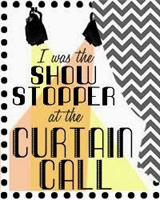 The challenge is to make a project with stripes. 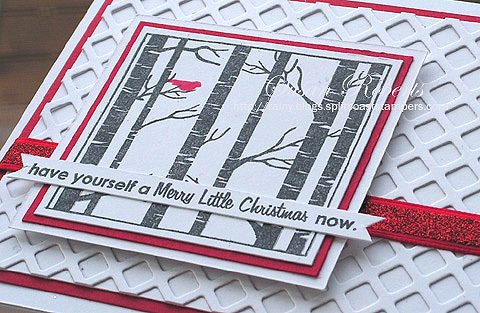 I thought this patterned paper from Papertrey Ink’s “Father Knows Best” Collection was a fun way to incorporate those stripes on a card. 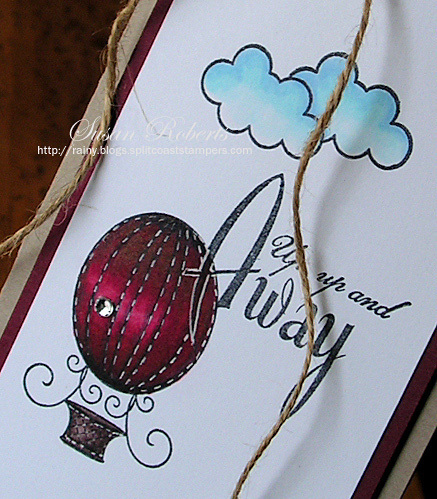 Playing along in Papertrey Ink’s Anniversary Celebration again today. Here’s my card for the Day 6 Challenge. Several sketches were provided on Day 1. 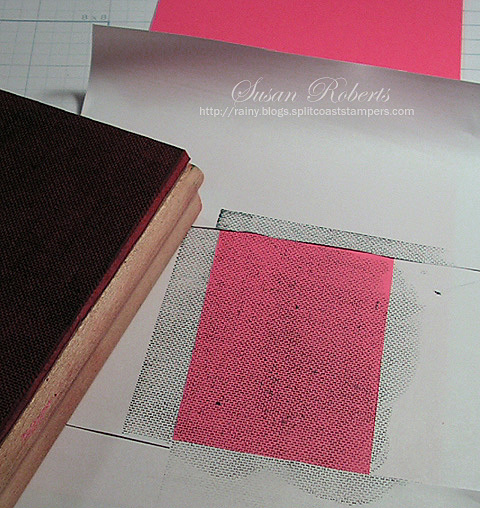 One of these sketches had stripes or strips of paper going at the diagonal. 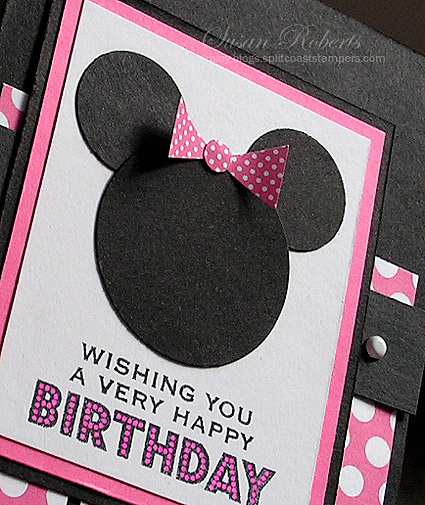 The scored lines on the patterned paper here represent those stripes. 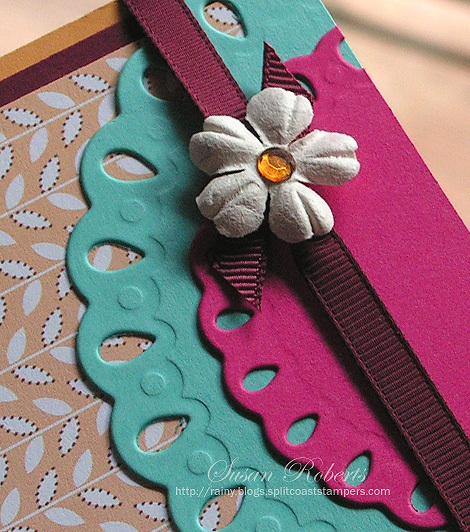 PTI’s Hawaiian Shores cardstock was placed inside the card behind the hole of the eyelets. It is held on, in part, by some Washi Tape. 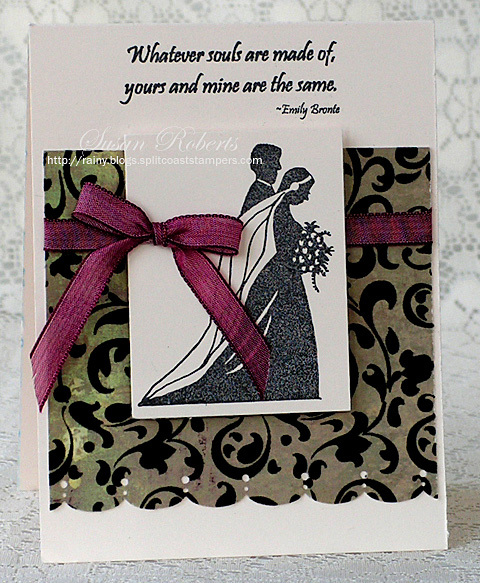 It’s always fun to have a little drama on the inside of the card, too! 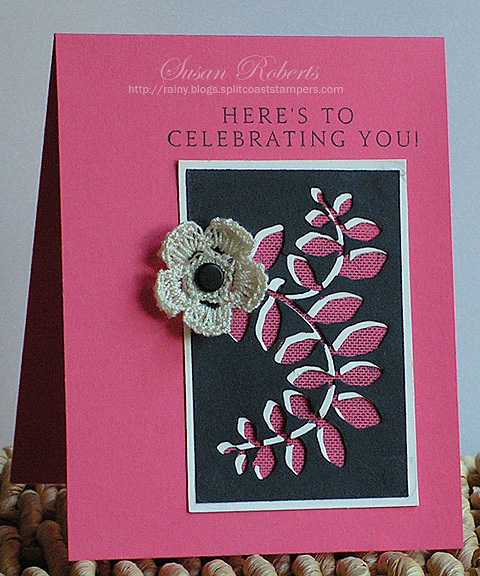 This card can also play along in the Day 1 Color and Sketch Challenge. 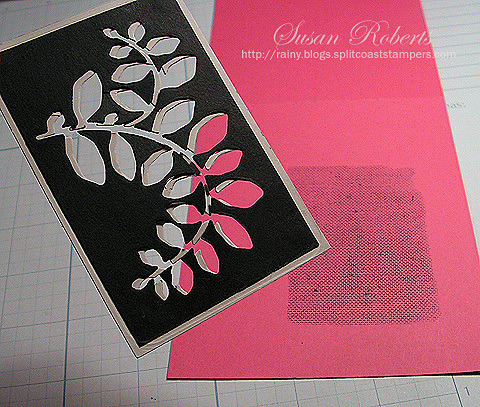 Today’s card was made for Papertrey Ink’s 7th Anniversary Day 5 Challenge to make a birthday card and one of the Day 1 Color and Sketch Challenges. 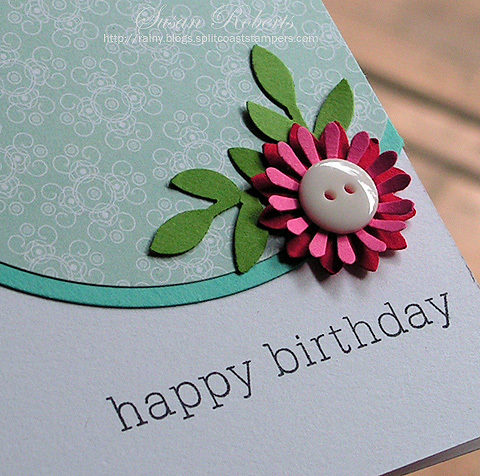 Here all the colors required are gathered together with a little punched bloom on the die cut circles. 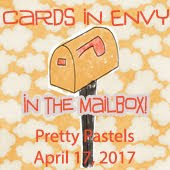 Have you heard about Papertrey Ink’s 7th Anniversary Celebration going on right now?! 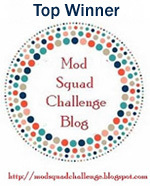 There are lots of prizes and super fun challenges. 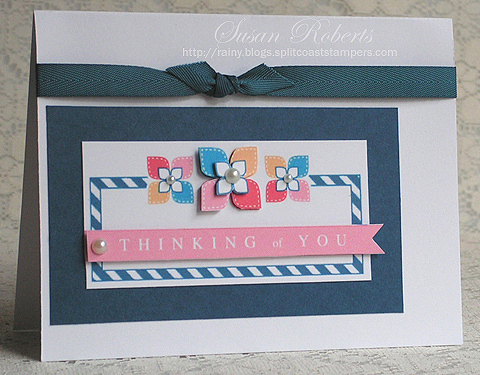 My card today is for the Day 2 Challenge to use one of the FREE Printables provided. The center flower is cut out twice and popped up on dimensionals to add some depth to the design. The sentiment banner is cut out and popped up as well. Come join the fun! Definitely Happy Crafting!! 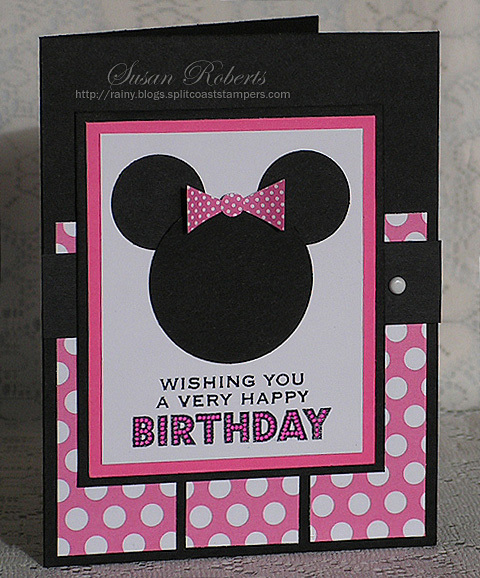 Needed a birthday card for a friend who likes to keep things clean and simple but always seems to sport a little whimsical accessory. 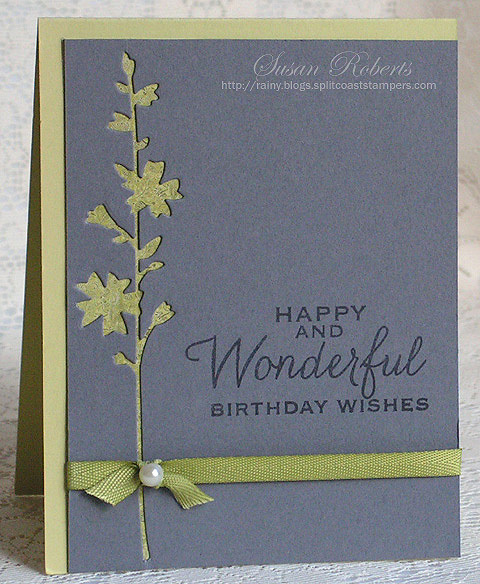 So I made this card and added just a touch of bling with the elegant single pearl. 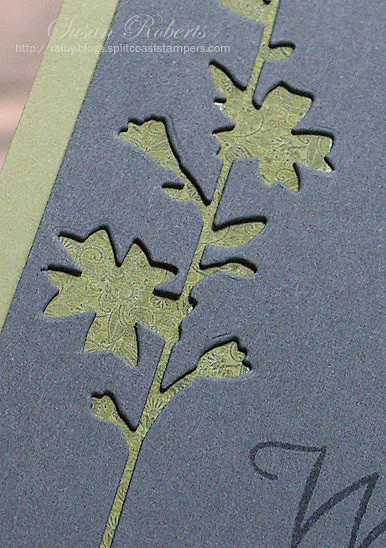 The gray card stock has a negative cut of the Hollyhock Stem Die. 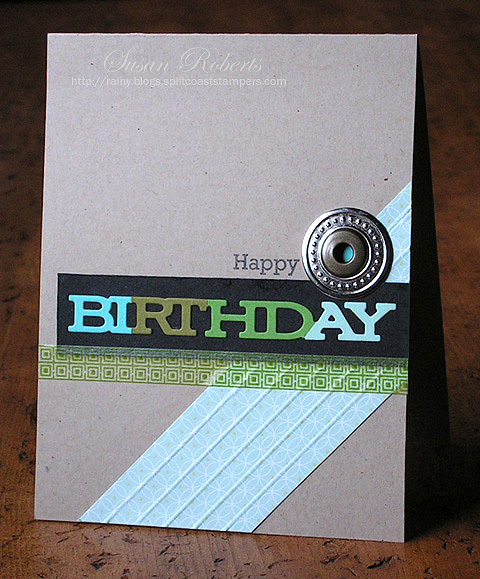 The design peeking through is a small piece of patterned paper that closely matches the color of the card base. 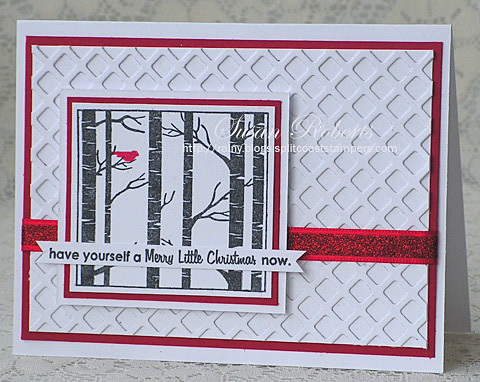 To get a pattern showing through the die cut portion of the paper without using a layer of patterned paper, the card base could be stamped instead. 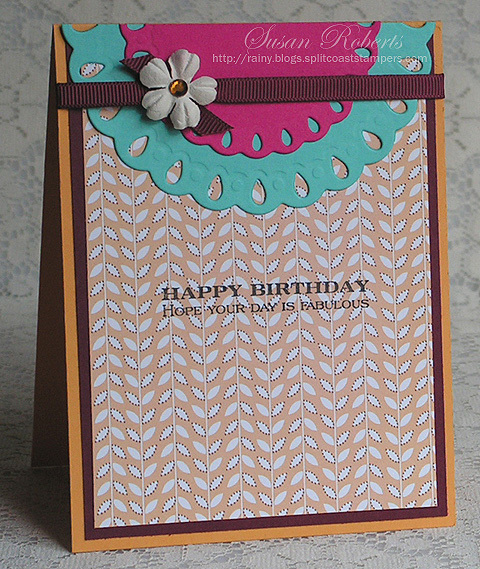 On this second card I masked off a small area on the card base where the pattern would show. 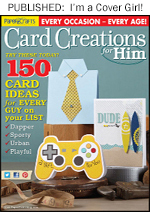 The leaves were die cut twice using contrasting colors of card stock. The black was then adhered to the cream slightly offset so that a shadow was created. 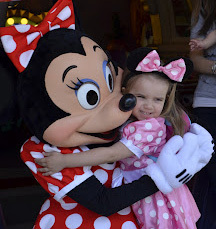 I’ve mentioned before how much my little Kate loves Minnie. 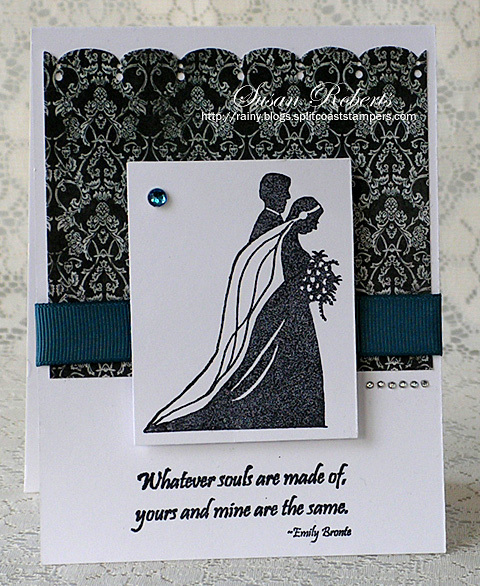 Well I found a card HERE made by resqbarbie over on Splitcoaststampers and had to CASE it. It is just the cutest design!! Happy #5, Kate. Love you! We are so excited in Seattle!! Our Seahawks have never won a Super Bowl. In fact, we’ve only been to the Super Bowl one other time in our history! Couldn’t help giving them a little shout out for tomorrow’s big game. 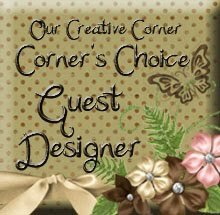 All content on my blog is COPYRIGHT © 2008-2018 Susan Roberts. 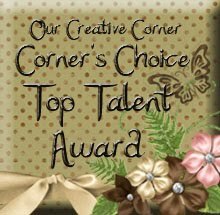 Please don't copy any of my stuff for publication, design or contest submission. 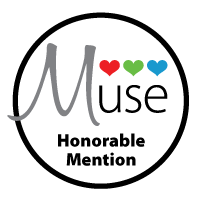 In accordance with FTC 16 CFR Part 255, I declare that I sometimes promote and/or endorse products that I currently receive or have received either for free or at a discount. That said, I won't ever recommend anything that I don't personally enjoy using or feel is a quality product.